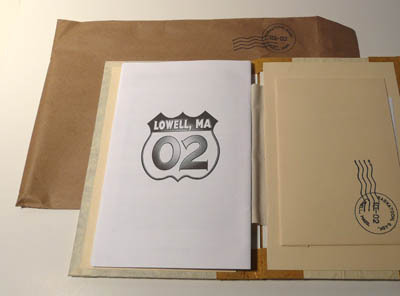 In the fall of 2002, two Saskatoon writers embarked on an 8,000-kilometre journey to Lowell, Mass., in pursuit of Beat Generation author Jack Kerouac’s ghost. 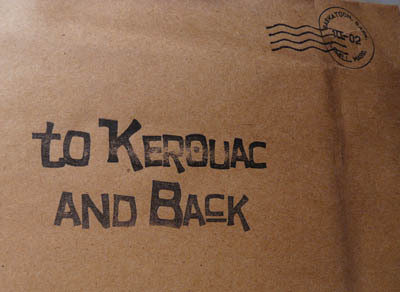 To Kerouac and Back chronicles the experience of driving 86 hours, consuming 71 coffees (large ones), meeting countless intriguing people, gawking at unpublished manuscripts, and teaching an American jazz musician to play the Hockey Night in Canada theme song. In the process, the authors stumbled across Little Canada in Minnesota and Moose Jaw in Wisconsin. The Moose Jaw Pub and Brewing Company is an homage —albeit somewhat misconstrued— to the Saskatchewan city. The proprietors built the restaurant as a hinterland log cabin. It is outfitted with newspapers, maps and photographs of its namesake city. 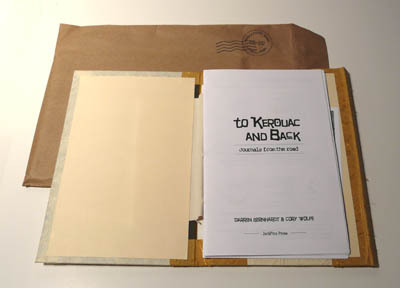 To Kerouac and Back is a narrative infused with journal entries, sketches and photographs. The authors’ adventure was triggered by their play, Alison’s Leather Couch, a one-act tribute to Kerouac, which is included as an epilogue. The play won first prize in the Saskatchewan Playwright Centre’s 2002 24-hour playwriting competition and was produced in the 2003 “”On the River’s Edge”” festival in North Battleford.